Manufacturer of a wide range of products which include dunnage air bags, paper dunnage air bag and woven dunnage bags. Being a quality-centric company, we are engaged in offering a superior quality Dunnage Air Bags. Offered air bag is suitable for protecting any type of goods- virtually regardless of the mode of transport. This air bag is tested in terms of quality so as to dispatch a defect free range. The offered air bag come in both disposable and reusable versions as well as many different sizes which can withstand great pressure and the majority of stresses and strains. With our dunnage bags your goods can be given practically the best protection that is humanly possible. Our dunnage air bags have the unique property of "nestling" around the product and so filling the gaps which can otherwise easily result in transport damage. Gaps which can be narrow or wide, large or small, vertical or horizontal. Angled, round or rectangular perhaps, but rarely in standard sizes. Our dunnage bags come in both disposable and reusable versions as well as many different sizes which can withstand great pressure and the majority of stresses and strains. Our dunnage bags are therefore suitable for protecting any type of goods- virtually regardless of the mode of transport. Our dunnage bags are easy and fast to use. The empty bags are placed in the gaps between the goods and inflated in just a few seconds with compressed air. Their high quality and effective patented valve system ensures that they do not get out of breath-even on long journeys. Once the goods have reached their destination, the airbags can be deflated in a matter of seconds. No time is wasted during unloading and there are no unnecessary environmental costs. Fast, easy and effective. Nothing is more natural and environmentally friendly than inflating with air. Especially when the air is in environmentally friendly bags which can be reused or disposed of without environmental problems. The enormous volumes of products being transported today- from local transport in a particular town to shipment to another continent with several trans shipments along the way-help to bind the world together. If the goods arrived undamaged, that is. A manufacturer will have increased costs and trouble, and may lose customers, if his packaging or products are damaged in transit. The end user will not receive the desired product on time. Transport damage also causes problems for the driver, warehouse people and others left with the partly or completely ruined goods. 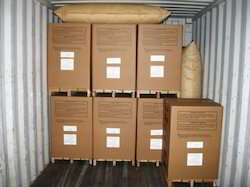 The organization and implementation of a shipment are optimum only if protection of the goods is optimum. 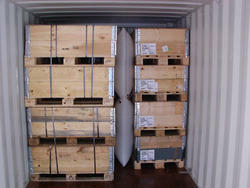 Co-operation with Bates Cargo-Pak is a good place to start! In order to fulfill ever-evolving requirements of our esteemed clients all over the country, we are involved in offering Paper Dunnage Air Bag. This air bag is designed by utilizing the best quality material and sophisticated technology. 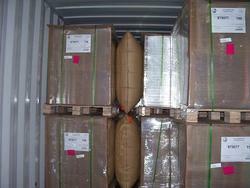 Offered air bag is mainly used in cartons, boxes, and containers for protecting the loads against impact. The offered air bag can be availed at competitive price within a stipulated time frame. Our dunnage air bags are easy and fast to use. The empty bags are placed in the gaps between the goods and inflated in just a few seconds with compressed air. Their high quality and effective patented valve system ensures that they do not get out of breath-even on long journeys. Acting upon precious advice of our expert professionals, we are offering a broad range of Woven Dunnage Bags. Offered air bag is safe to use as nothing is more natural and environmentally friendly than inflating with air. The empty bags are placed in the gaps between the goods and inflated in just a few seconds with compressed air. As well, our offered air bag can be availed at market leading rates within a given time frame. Looking for Dunnage Air Bags ?